AKIPRESS.COM - The 9th round of the international meeting on Syria will take place in Astana on May 14-15, Kazakhstan’s Foreign Ministry announced on Wednesday. 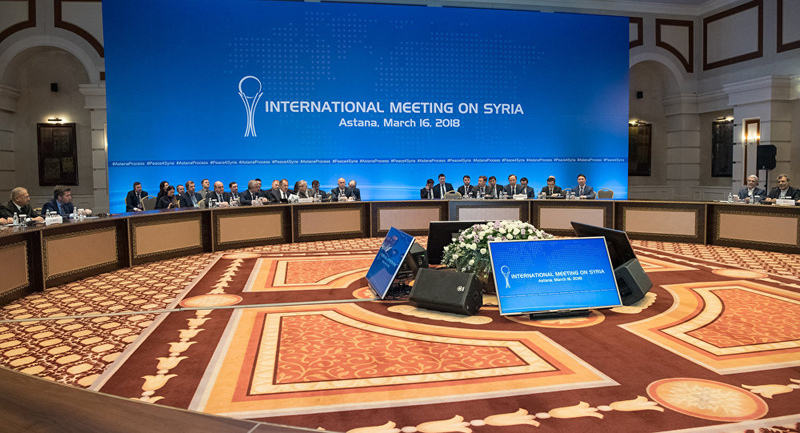 "The Foreign Ministry of Kazakhstan informs that the countries acting as the guarantors of the Astana process have confirmed that the next 9th high-level international meeting on Syria will be held on May 14-15 in the capital of Kazakhstan," the statement says. Astana has already hosted 8 round of Syria peace talks with the last ones taking place on December 21-22. Additionally, Astana hosted the consultations between the Foreign Ministers of Iran, Turkey and Russia in March, during which the guarantor states pointed out joint actions to restore peace in Syria.